New York Times-bestselling author Ann Martin brings her signature warmth and comic genius to a new character. And artist Ben Hatke brings it all to life! Annie Parnell worked for nearly a decade with some of the most successful writers and producers in television. Today she works as a mommy, photographer, and writer, and lives in Los Angeles with her husband and their two children. 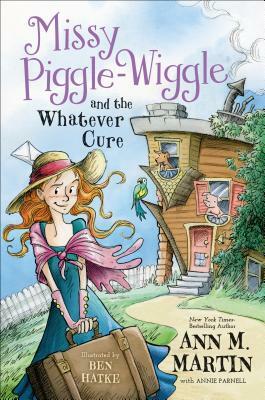 Annie's books include Missy Piggle-Wiggle and the Whatever Cure and Missy Piggle-Wiggle and the Won't Walk the Dog Cure.